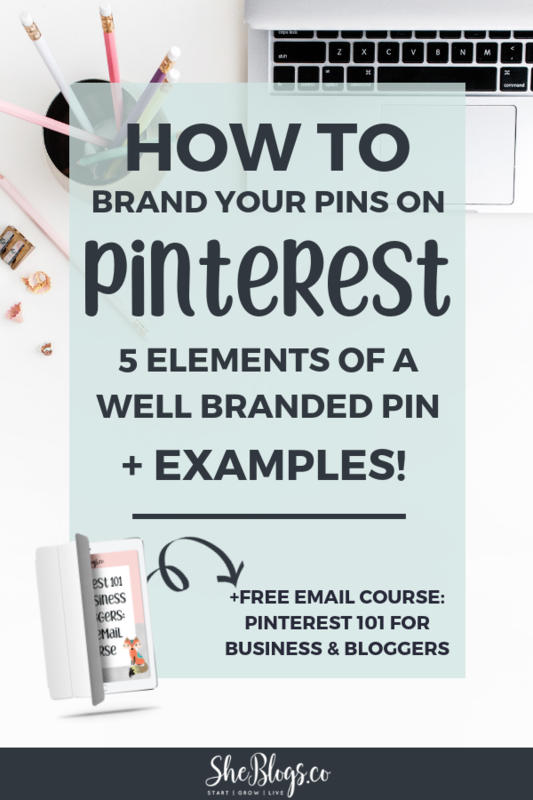 Successful bloggers on Pinterest have uniquely designed pins and 5 key elements of a well branded pin. They're following a process that you can follow too. Logo: This can be a text logo or an image logo, but it should be visible on every pin. Consistent Color Palette: Choose 2-5 colors you use consistently. Consistent Font Palette: Choose 1-2 fonts you use consistently. Typically you’ll choose an easy to read font for the title and maybe a fun or decorative font to accent part of the post. Consistent Pin Layout: The layout is how the words, images, and graphics are arranged on the pin. Your pins should have a consistent layout. Consistent Graphic Elements: This can be as simple as a line, a box, or an arrow. These small signature graphic elements help set you apart. Wow, right? Their pins look outstanding! If I see any of their images in my Pinterest feed, I will instantly recognize them and be more likely to click through to their content. 2 things should stand out in these examples. You know what else they all have? Tens of THOUSANDS of followers on Pinterest and a ton of engagement on their pins - I see their stuff re-pinned all the time. I think we could learn a few things from them :). Starting from the top let's take a closer look at each blogger's pins. 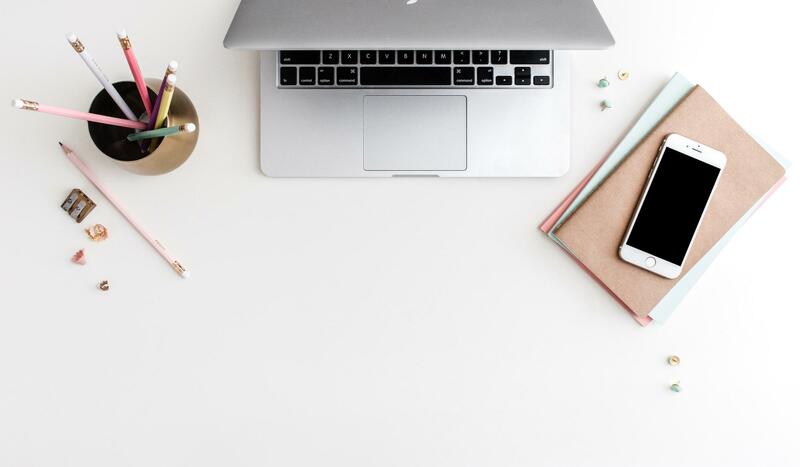 Note: I chose these bloggers because they have excellent content, Pinterest strategy, and I follow each of them. 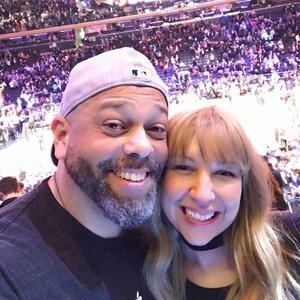 I recommend you check out their blogs if you haven't already! You can click on the links to see their blogs and click on the images to see their Pinterest Account. Regina of byRegina.com: Signature logo? Check. Caitlin of caitlinbacher.com: Consistent colors? Yep. Louise of solopreneursidekick.com: Consistent graphic elements? Check. Sarah of XOSarah.com: Consistent layout? Check. Mariah of femtrepreneur.co: Unique design? Yes. Pauline of twelveskip.com: Consistent fonts? Yep. You can see that each of these bloggers have an individual unique design and the 5 elements of a well branded pin. Having a unique design is critical to your success. It may be tempting to want to mimic the design of others you admire, but if you want to stand out on Pinterest you have to be different! Your pins are often the first impression you give to your readers. How do you want them to feel? Infuse your personality into your brand and shout it from the Pinterest rooftops! If you're not a professional designer, raise your hand. 🙋🏼I have great news for you. You don't need to be a professional designer to have a professional-looking, well-branded design! You just need a unique design infused with your personality and brand, and the 5 elements of a well branded pin! What about Creative Market? They actually have a whole section of Pinterest Image Templates. This means the design work is done for you! You can customize the templates with your brand colors and elements, plug in your blog post title and you're good to go! Plus you can find customizable logos, fonts, graphic elements, and so much more. See the little woodland creatures all over my blog? Creative Market! Want more Pinterest Marketing Strategies?